hd00:22CHERNIHIV, UKRAINE- JANUARY 21, 2018: Many children enjoying winter sleigh ride down snowy hill at city park. 4k00:10GOMEL, BELARUS - DECEMBER 1, 2018: Winter Fun. 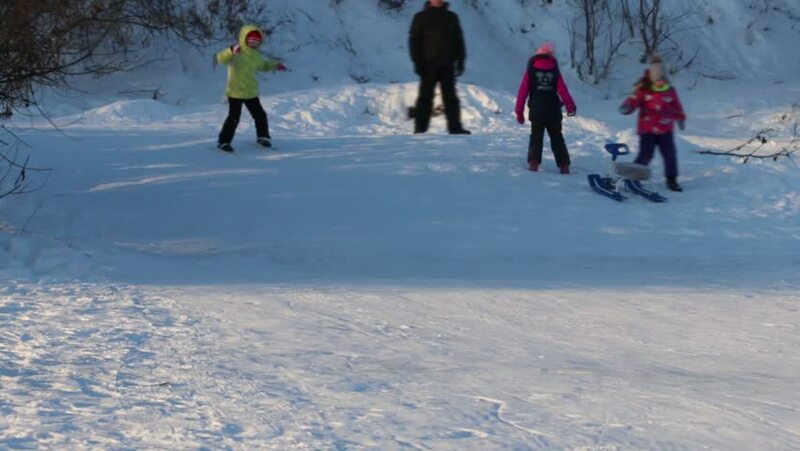 Children with parents go sledging on a snow hill.